Note #1: We require at least WooCommerce version 2.2 for compatibility with our integration. However, our specific Abandoned Cart feature (requires our "Growth" plan, or higher) is only compatible for WooCommerce versions 2.4 and above. Installing the Revenue Conduit Extension in your Wordpress Account - This section is ONLY REQUIRED if you're a Revenue Conduit customer who needs to utilize WooCommerce Abandoned Carts (requires our "Growth" plan, or higher), HubSpot Website Tracking Functionality, or Infusionsoft Referral Partner Tracking; Installing the extension is NOT REQUIRED if you aren't using any of these functions for your Revenue Conduit account. This step is required for ALL WooCommerce users. Step 1. To find the Consumer Key and Consumer Secret follow these instructions. Open a new browser tab/window and be sure to keep the current tab open so that you can come back to it. Log in to your Woocommerce administration section. Navigate to the wordpress user administration screen by clicking on "WooCommerce" in the wordpress main menu and select "Settings"
Choose the user that you would like to use for the API or create a new user. You do not need to enter a description when creating a new user, it is optional. Click the Generate API Key checkbox. A new screen will pop up that will display the Consumer Key and Consumer Secret that you will paste into the Revenue Conduit admin portal momentarily. On the wordpress edit profile page there is also a permissions select box to control the level of access this API key possesses. Change the permissions select box to 'Read/Write'. Step 2. To add the consumer key and secret to RC admin. You will now be prompted to enter the store url, consumer key and consumer secret that was previously generated in your WooCommerce admin section. Paste the info in the required fields and click connect. This step is ONLY REQUIRED if you're a Revenue Conduit customer who needs to utilize WooCommerce Abandoned Carts (requires our "Growth" plan, or higher), HubSpot Website Tracking Functionality, or Infusionsoft Referral Partner Tracking; Installing the extension is NOT REQUIRED if you aren't using any of these functions for your Revenue Conduit account. Note #2: Our Abandoned Cart feature (requires our "Growth" plan, or higher), specifically, is only compatible for WooCommerce versions 2.4 and above. If your WooCommerce version is below 2.4 then you will still need to install our Wordpress extension if you need to utilize HubSpot Website Tracking Functionality or Infusionsoft Referral Partner tracking, but you will need to use a different extension version. Please Right-Click and Save-As THIS VERSION OF THE EXTENSION, which is compatible with WooCommerce versions below 2.4. 4. Under the section "If you have a plugin in a .zip format, you may install it by uploading it here." click "Choose File"
7. Once installed, click "Activate Plugin"
WooCommerce 2.2 or newer must be used. 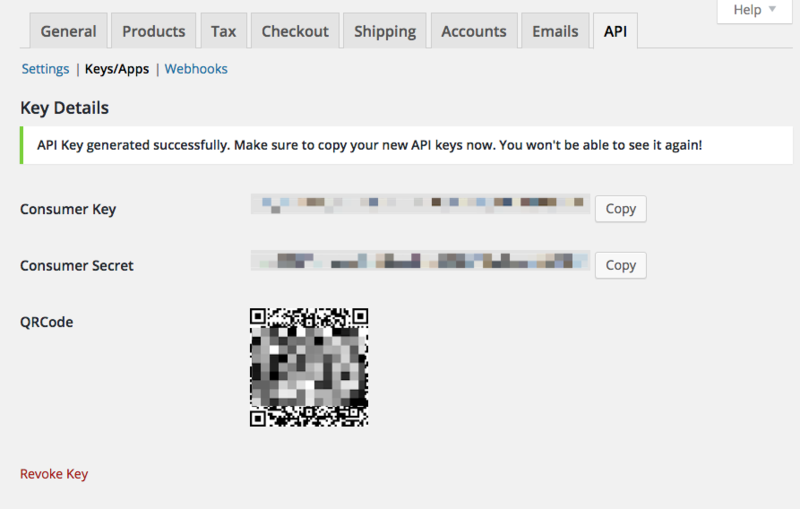 The WooCommerce REST API must be enabled:To enable the REST API within WooCommerce, visit the WooCommerce > Settings > General tab and check the Enable REST API checkbox. Pretty Permalinks must be enabled. (Note: They are probably already enabled. Learn More).